Purchase a single class card for $35.00 or book of 4 for $120.00. These class cards are retained at the office of The Ballet School. Set a weekly or bi-weekly schedule for a half hour lesson with Vince. If a lesson is missed by student without 24 hr notice it will be considered a paid lesson and a class card on file will be used. 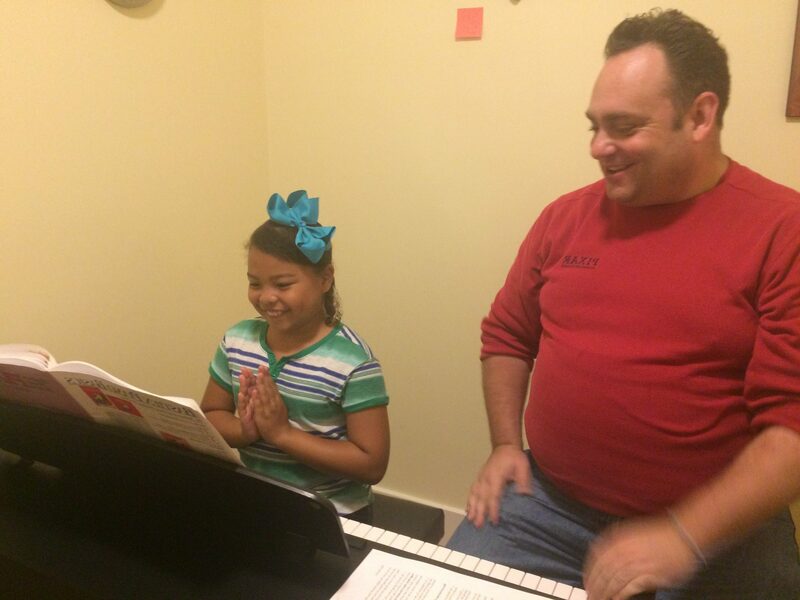 It is recommended that Piano Lessons be done on a weekly basis. It is required that the Student have daily access to a Piano (of full size keyboard) during the week. Only with good, focused, daily practice will you grow as a pianist. The required books for the Student will be order through the Ballet School. The Student will pay for the books, at cost, when they are delivered to them. The Student will be learning Piano Technique, Music Theory, Ear Training and Sight Reading skill (when the time comes). Students are encouraged to explore and play music that is outside the required curriculum (within the skill set) and can bring those pieces to the lesson for instruction, but remember the curriculum material will take priority. Please e-mail, call 925-934-2133 or come up to the office at The Ballet School if you would like to set up a lesson time. Please let us know the age of the student and any experience the may have. Due to the other classes that are ongoing here, lesson times are limited, so call or e-mail to reserve your spot. Thank you so much for the interest and I look forward to hearing for you soon. Set a weekly or bi-weekly schedule for a half hour lesson. Students will be building a repertoire of songs and pieces ranging from Musical Theatre to Classical to Contemporary. Students will receive copies of the Sheet Music and CD Recording of the pieces they are working on. These will be theirs to keep, so please have a 3 ring binder for this music. Students will also be trained in Reading Music, Ear Training and Sight Reading (when the time comes). Students are encouraged to explore and find music that is outside the required curriculum and can bring those pieces to the lesson, but remember the curriculum material will take priority.